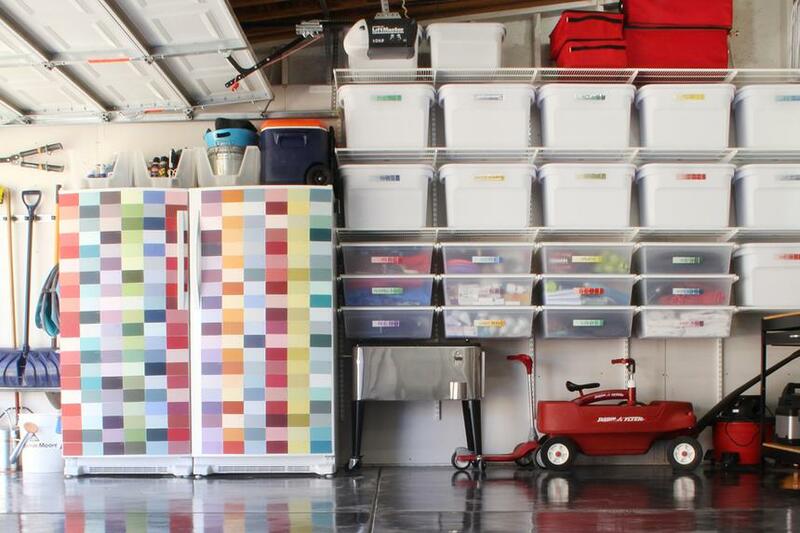 Do you suffer from a cluttered garage? Are you one of the many Florida homeowners who can’t even park their car in the garage? We’re here to help! Not only do we help service your garage door, but we can also help you organize your garage so it is beautiful INSIDE and OUT! 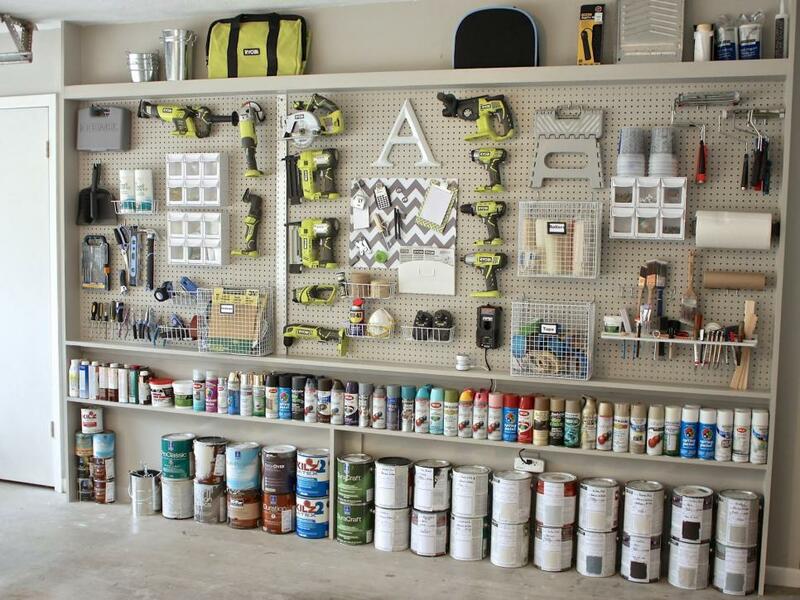 Build shelving in your garage for storage items. This will keep things from being scattered on the ground like sports equipment and keep things like shoes out of the way. You can either build this storage yourself or simply purchase plastic shelving that you can assemble yourself. Plastic storage bins are great for keeping things like seasonal decorations together. This type of storage is ideal for items you do not need to access quickly or only every so often. All you have to do is pack it all up in the container, label and then stow away! Your ceiling is a great place to store things like your bikes. Bikes are a larger item that makes it easy to grab when you need and hook back up when you’re done using. This allows for out of the way storage and more room for your car. 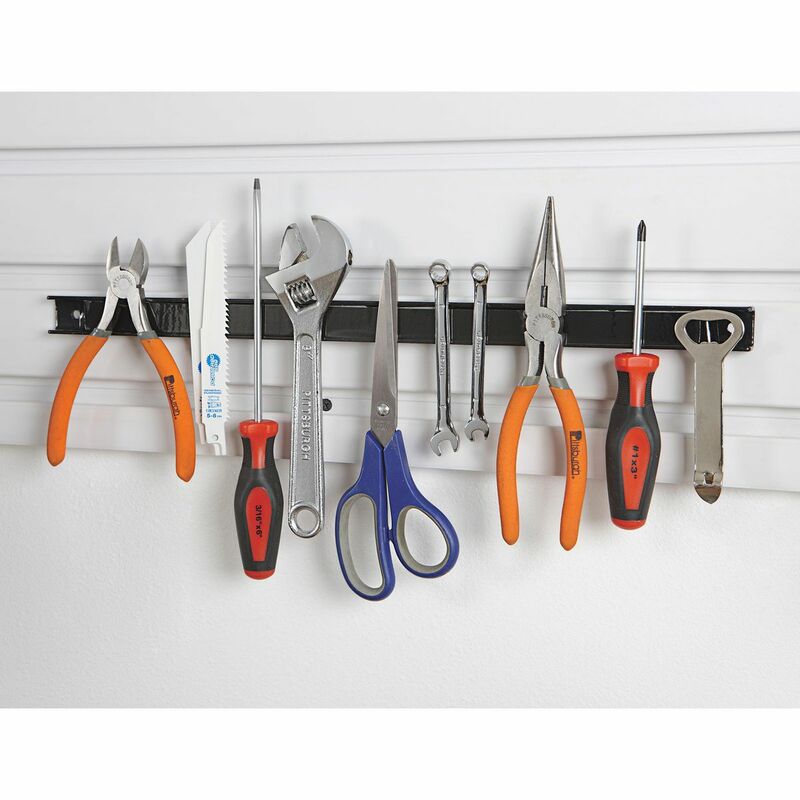 Almost all small tools like pliers, screwdrivers, and drill bits are magnetic so why not hook them up to a magnetic strip for easy finding and use?! You can even set the desired height you would like them at so they are out of reach of small children but at perfect eye-level for you when you need to find that specific screwdriver you need! Have multiple children in the house? Pick a color for each person and organize their items by such. This way, when you need to find the soccer cleats for a specific child you will know exactly what bin it is in! 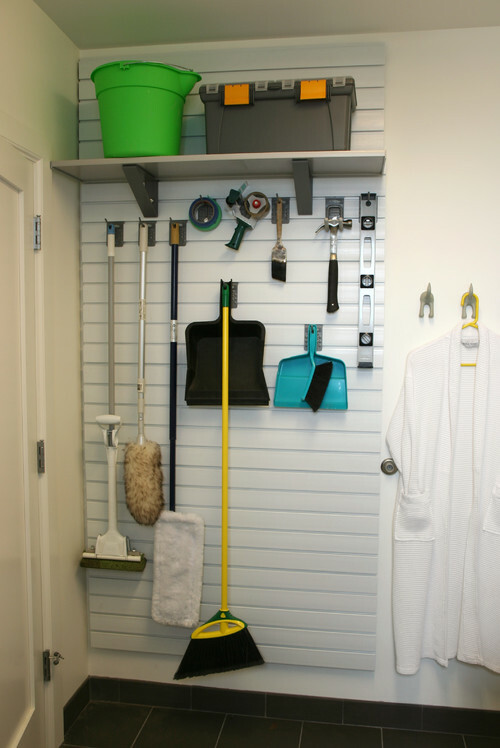 Vertical storage is great for cleaning supplies like brooms, mops, and dustpans. Since these items are thin themselves, hanging them one after the other on the wall does not take up much space. 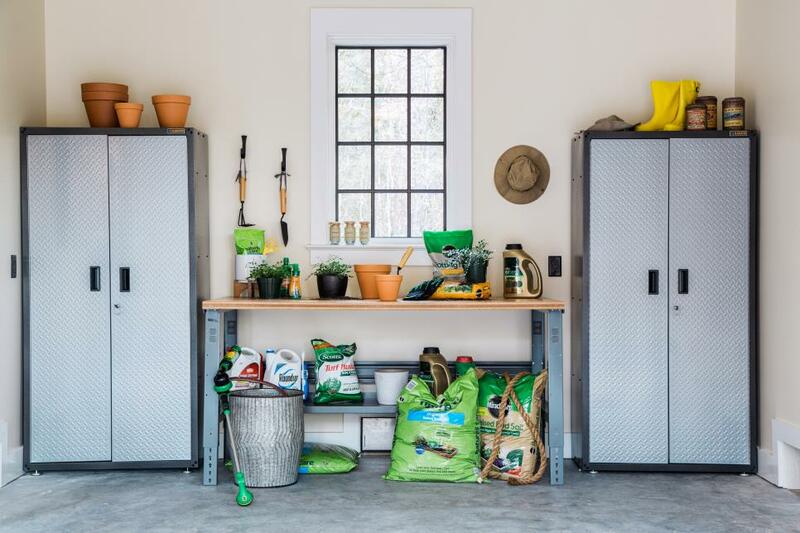 Do you have plant supplies everywhere in your garage? Create a space for yourself that allows all of these items to live. That way, when you need potting soil, you’ll know exactly where it is. Lastly, are your washer and dryer in the garage? Take advantage of the space! Create an area for clothes to hang and for your detergent to reside. That way you can easily store laundry baskets and keep clothes organized.